I am a Spaniard but I have to confess that we are a noisy lot. When we go out for dinner with friends we do select the restaurant not only because of the quality of their cuisine and their prices but also depending of the sound level within the restaurant. Ok, I do confess that I have sound meter telephone app and I do measure the decibels inside and outside the restaurants every time we do visit the restaurant and take down the readings. Yes, Spain is sunny, people are friendly (sometimes) food is fine, (if you know where to eat), but I have to admit it, we are noisy, very noisy. Everyone living here knows that there is a high degree of permissiveness with regard to noise and high volume activities that undermine and violate the right of others to have a quiet home or even a quiet culinary get-together at a restaurant. The idea of eat, drink and be merry for tomorrow we may die, is culturally in our genes so that the only way for young people (and not so young) to enjoy themselves is drinking till they drop semi-unconscious. The problem is, that when this occurs is at early hours of the morning and that is of course the time to get up for other citizens. 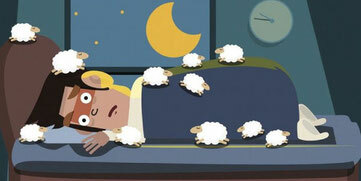 On April the 27th was the International Day of Noise Awareness. At various conferences that were held on that day it became obvious that 60% of citizens in Spain and even a higher percentage of people living on the Costa are exposed to harmful levels of noise, especially young people. Housing should be a place that protects us from outside noises; otherwise traffic, terrace bars or just the users of external community swimming pools self-generators of noise could sometimes be unbearable because of the length of time that the high noise level persist. People satisfied with their home are 57% more likely to feel healthy and with high energy levels. The Healthy Homes Barometer 2016, introduced this April by Velux and Humboldt University, has found that 80 million households in in the EU are still below minimum health standard. And 68% of the houses do not meet the conditions necessary for a good quality sleep, 36% have humidity, 22% lack proper climate control and 18% is lacking in natural lighting. According to the study, people satisfied with their home are 57% more likely to feel healthy and with high energy levels. 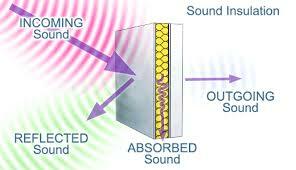 So to soundproof our home can be a good investment to gain on wellness and health. The average investment in projects to soundproof or insulate a house could be as low as 1,500 Euros, at least according to the calculation made by the Habitissimo reforms company. The demand for soundproofing works on this internet site has increased by 10% last year. Soundproofing and thermal insulation works on housing account for 37% of the demand made by the user of this portal. Waterproofing accounts for 28% of all works done to houses. Such reforms are aimed at maintaining optimal conditions in terms of home air conditioning, ventilation or noise. "There are numerous possibilities to make your home a more healthy place without big investments," according Habitissimo. For example, to sleep without noises, acoustically insulating the outer wall of the bedroom could cost about 350 euros on average. Ventilation is another key aspect to achieve the correct air conditioning. Adequate ventilation through good quality windows and preventing moisture inlet and condensation can also be a good investment. Thus the average cost of installing three sliding PVC windows with double glazing (two sheets 120x100cm) is 800 Euros. Another aspect to consider is that it is highly recommended to encourage cross ventilation inside the house. This is achieved by installing windows in opposite directions, from north to south or east to west, or at different heights. The reason I mentioned this is that the cheapest method of noise insulation is insulating the noise source. Let me clarify that. To protect us against the deafening noise of a motorbike without a proper exhaust pipe is not insulating all houses along the road where that motorbike tends to thunder on, but to install a good silent exhaust pipe for the damn motorbike!! The cheapest and most efficient method to insulate your home against a noisy neighbour with very large loudspeakers and amazing subwoofers is to obtain a magnificent pair of earphones and stick them with superglue to his ears. However this is not a technique that I can recommend here, if only because the neighbour could be as large a wardrobe and he might not agree with this sophisticated technique, so instead I would recommend to read my blog at www.spanisharchitect.info one of the many methods for walls or floors insulation.